A stylish space saver, this bunk bed features storage space – ideal for storing all those toys! 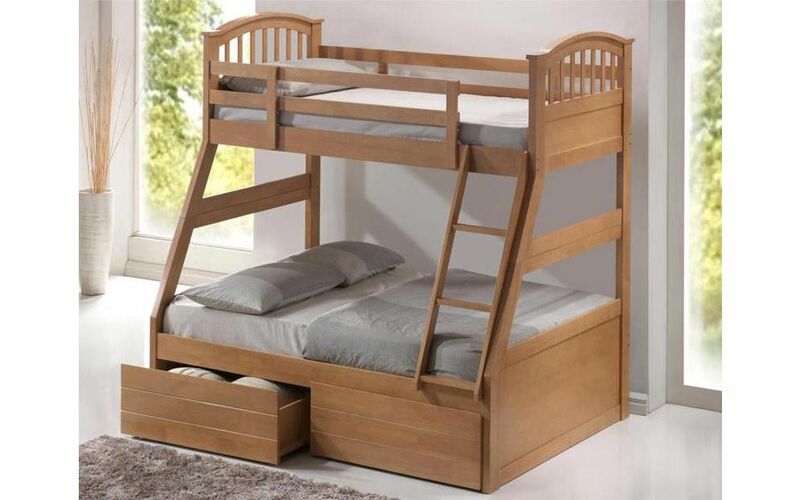 With a double bottom bed and single top, this bunk bed is perfect for sleepovers. Featuring flat slatted bases in a white or oak Rubberwood finish, this bunk bed is sure to provide delightful support for your growing children.